Leave the busy weekday behind and descend into the tranquil spa area at d’Angleterre. 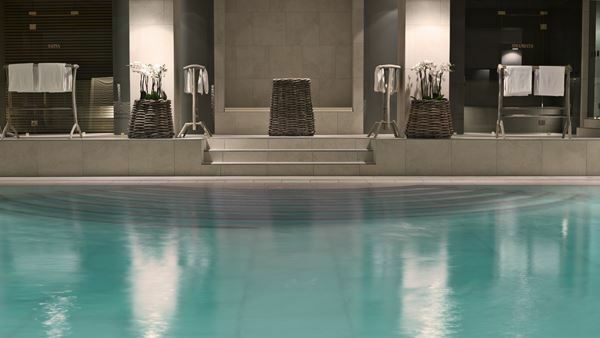 With the only indoor swimming pool in inner Copenhagen, the Amazing Space at d’Angleterre is one of the trendiest spas in Copenhagen and excels at guiding you through soothing and nurturing treatments. A visit to Amazing Space spa is a sensory experience without equal with healthy drinks, aromatherapeutic scents, relaxing music, exotic flowers and a wide selection of beautifying and healing treatments. As a resident guest of hotel d'Angleterre you will have complimentary access to all facilities and treatments can be booked at a cost. 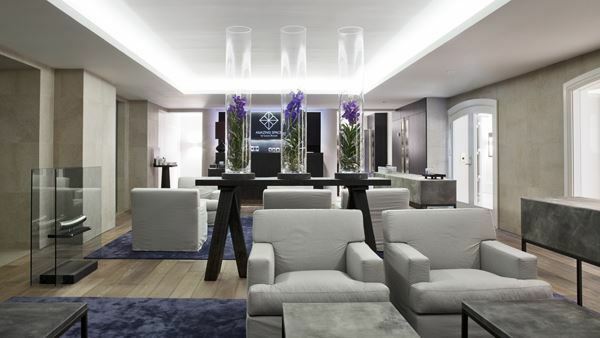 Amazing Space d’Angleterre has been completely renovated in 2013 and has been designed to provide a tranquil environment for the mind, body and soul as a top spa in Copenhagen. Award-winning spa owner Laura Bonné has developed a series of treatments and products that take inspiration from Asian spa traditions and add a dash of Nordic magic. The result is a Nordic oasis of luxury and beauty – an opportunity for ultimate relaxation, wellness and revitalization. Amazing Space’s highly skilled therapists are experts at tailoring the perfect treatment programme based on personal needs, goals and desires—all based on Amazing Space’s holistic universe of natural and organic products together with beautifying spa treatments for both body and soul. This urban spa also offers a lounge for relaxation and revitalization and a fully equipped fitness studio. For those who wish to bring home the soothing atmosphere of Amazing Space, the owner Laura Bonné has published two books with delicious recipes and beauty tips, which are available for purchase at d’Angleterre. 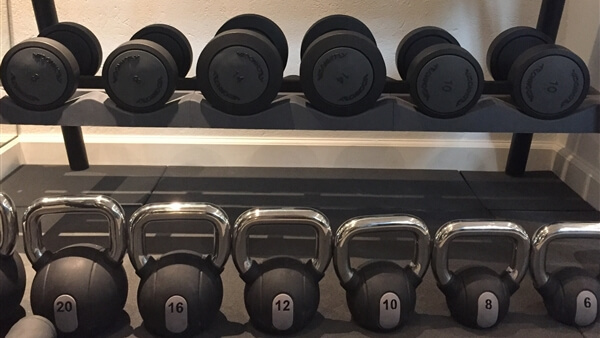 Access to the fitness studio, swimming pool area & the relaxation lounge is complementary for guests in residence. Why not treat that someone special to a luxurious stay at the d'angleterre Hotel.